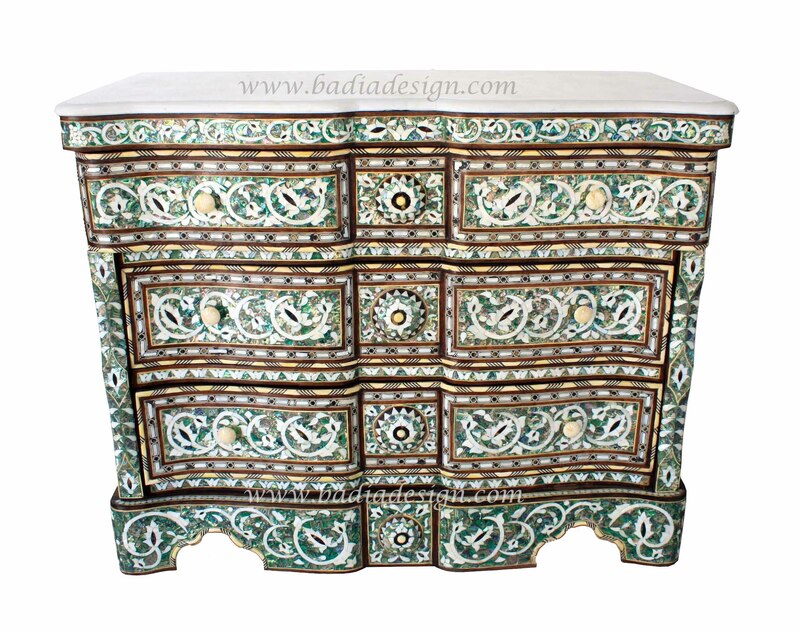 Badia Design Inc. – 818-762-0130 | Badia Design Inc. has the most exquisite High End Mother of Pearl Furniture in Los Angeles, Beverly Hills, West Los Angeles and surrounding areas. 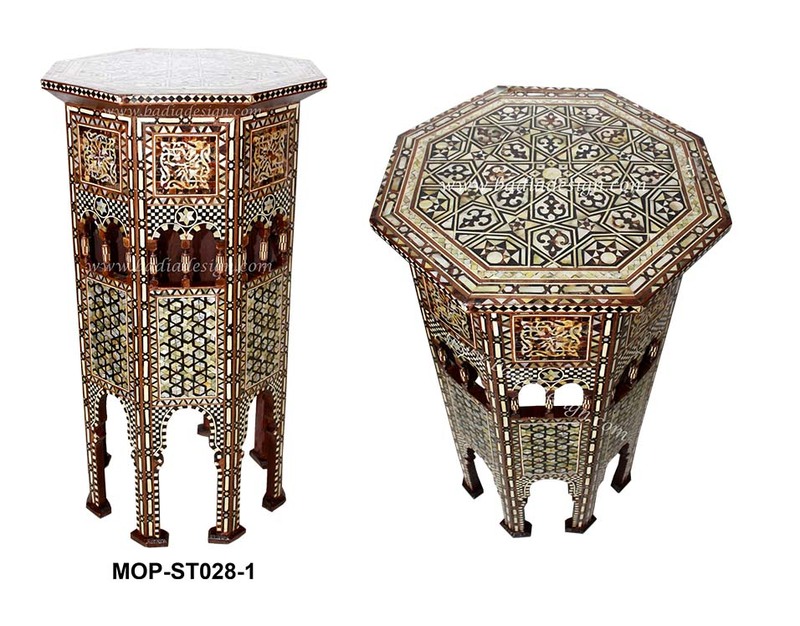 Our Mother of Pearl Living Room Set, imported from Morocco, is of the highest quality material and workmanship ensuring your pleasure with its elegance and beauty for many years to come. Badia Design Inc. – 818-762-0130 | Badia Design Inc. has the most exquisite High End Syrian Furniture in Los Angeles, Beverly Hills and West Los Angeles. 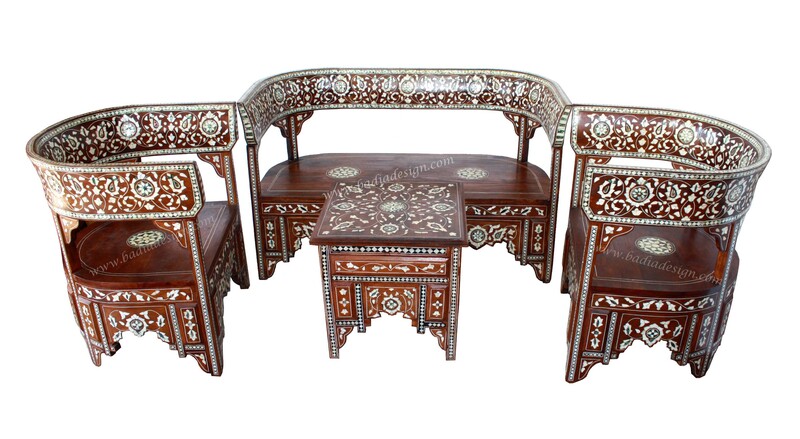 Our Imported Syrian Furniture is of the highest quality that I’m sure you will be pleased with its elegance and beauty for many years to come. 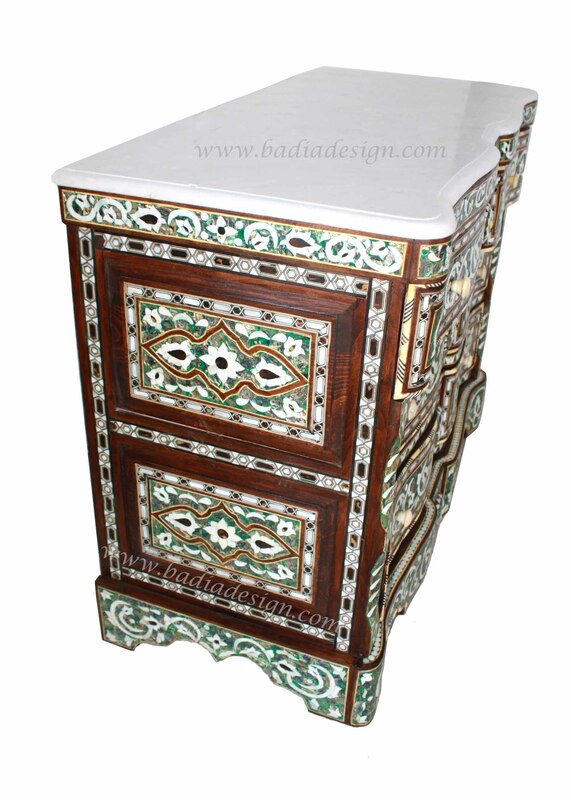 Badia Design Inc. – 818-762-0130 | Badia Design Inc. has the largest supply of High End Moroccan Furniture in Los Angeles, Beverly Hills and West Los Angeles. 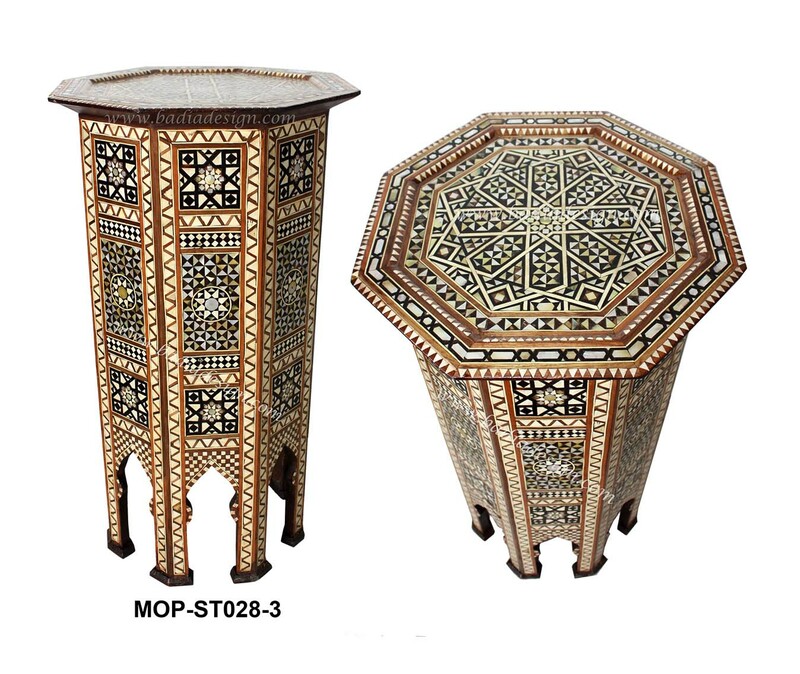 Our Moroccan Furniture is of the highest quality and I’m sure you will be pleased with its elegance and beauty. 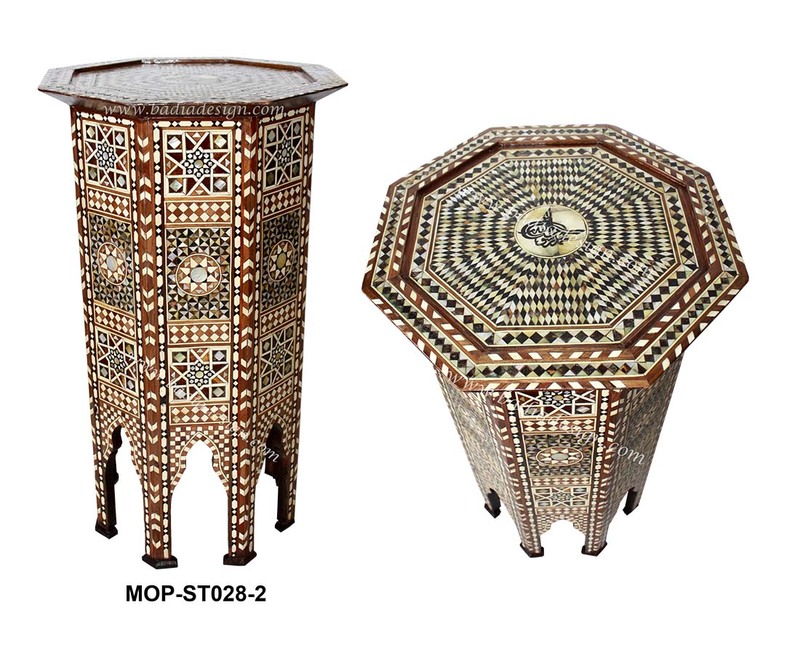 Moroccan Mother of Pearl Inlay Side Table from Badia Design Inc.
Our latest and most elegantly designed Moroccan Mother of Pearl Side Tables from Badia Design Inc.
You can get more information on our Moroccan Side Tables by visiting our website listed below. 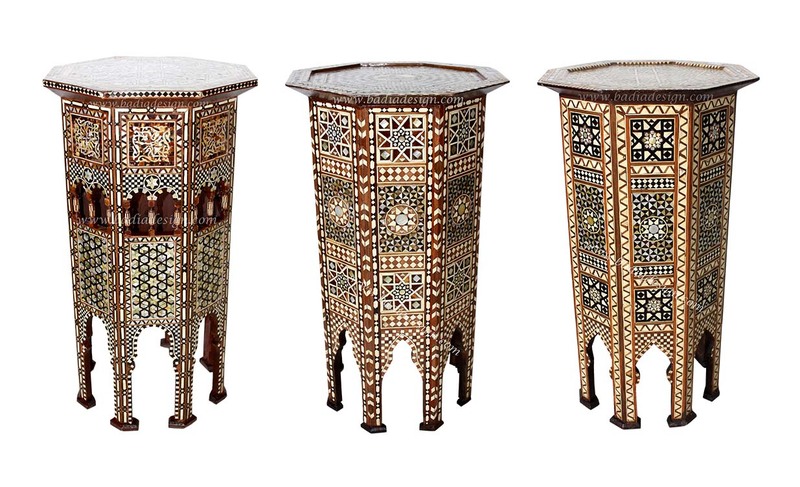 Badia Design Inc. – 818-762-0130 | Elegantly designed Syrian Side Table from Badia Design Inc. Fits perfectly in the category of Syrian Furniture.